It’s been a long summer, but it’s not too late to pick up an extra vacation to extend it a bit more. 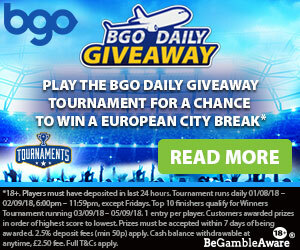 By depositing and playing at Bgo you can win exclusive trips to some of the greatest European cities almost every day until the 2nd of September, as well as a share of £5,000 in cash! Bgo’s massive 4 week giveaway has kicked off, and just by depositing and playing in the casino you could win a weekend in some of the most beautiful cities in Europe. A new giveaway goes live every weekday except on Fridays, and by making a deposit you will automatically get an entry into the Daily Giveaway Tournament of the day. Once you’ve got your hands on an entry, you just need to visit the tournaments page between 18:00 and midnight and participate in the tournament. But that’s not all: the follow up winners will get rewarded with cash prizes and no wager bonus spins on Aloha, and you can check out the full prize list on the promotion page at Bgo. The promotion began on the 1st of August and it will run daily until the 2nd of September, so there are plenty of travel packages and cash prizes to go! If you were close to winning one of the travel packages you’ll get a second chance of picking up a great prize in the winner’s tournament. 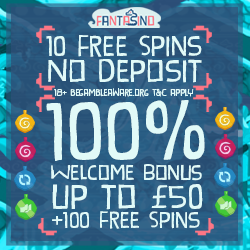 The top 10 finishers of each daily giveaway will get an entry into the winner’s tournament which runs from the 3rd until the 5th of September, and 103 players will battle for a prize pool of £5,000 in cash. The grand prize in the winner’s tournament is £2,500 in pure cash, so it’s definitely worth fighting for! Once you’re qualified to the winner’s tournament you will receive a set amount of spins on a specific slot, and the goal is to win as much as possible with your tournament spins to beat the competition. You can read more about the promotion and the tournament rules by clicking on the link to the online casino.